Foot Massage is an amazing exercise in its own right. Of course, foot massage has wrongly been confined to the foreplay and as such – there is not much information available on how to do it in an effective manner. How to give foot massage is a technique in itself and you should indeed cultivate the trick of providing a heavenly foot massage. Unfortunately, the technique has limited awareness and only a few massage therapists are aware of it. Maybe we can give you a few inputs on foot massage techniques in this concise compilation. Well, the foot massage benefits vary a lot. Before we can learn a few foot massage techniques, we thought of sharing the beneficial aspects that foot massage can offer you. So here are a few benefits of foot massage. 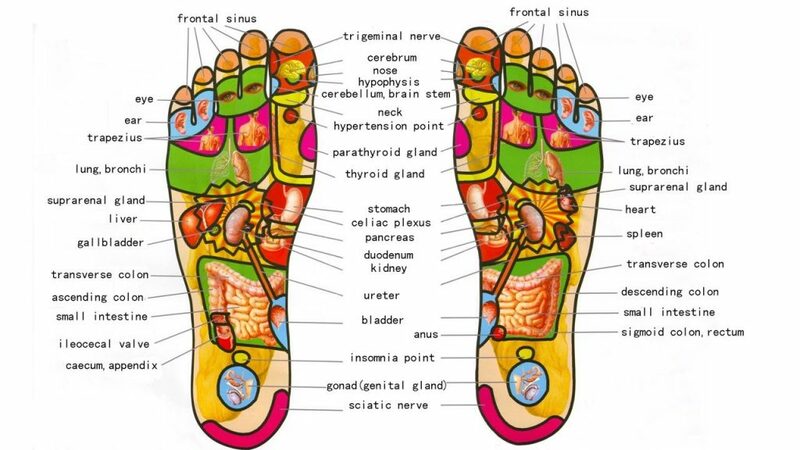 Foot massage techniques rely on the principle of reflexology. The foot massage incredibly improves your sleep patterns. A proper use of foot massage pressure points can help get rid of disturbed sleep and insomnia. One of the best techniques is to gently massage the solar plexus on your foot. This is the area that houses most of your stress. gentle massage on this area can help you let go of your stress. Pregnant women generally experience edema. Edema is essentially the swelling of legs and ankles. It can be caused as a result of increased hormonal levels. It can have more to do with the hormone relaxin. Your body tends to retain fluid and thus blood circulation to the lower body increases. Among a host of options available to address the Edema, foot massage for pregnancy has been considered to be more effective. Edema can also be caused as a result of long periods of standing or sitting. Post Menopausal symptoms or PMS have been found to affect almost 50 per cent of the women. Studies have indicated that PMS syndromes can be addressed with the regular foot massage. In fact. we would advise opting for foot massage rather than depending upon the painkillers. What should make foot massage a better option in relieving the PMS symptoms is its ability to heal the problem rather than killing the pain alone. Massage experts have long been using foot massage to induce labor. There are a few foot massage pressure points that can assist in reducing the labor pains and help in a natural childbirth. There are a few points that could be of use in inducing the labor in an effective manner. A few points include an area just above the shinbone, on the side of the lateral toe, the depression in the sole and the area between the big toe and the second one. Use your thumb to exert pressure on these areas for inducing labor that will result in a very natural child birth. How To Give A Foot Massage? Giving a foot massage is a science in itself. Of course, there are several foot massage parlor options available, but we would love to focus on using foot massage techniques at home for better results. Here are the best options you can employ. These can be your best options for the best heavenly foot massage. Yes, footbath is ideally the best way to start an effective foot massage. You can use any of the ingredients of your choice for an effective footbath. Start with a warmer footbath. You can add any essential oil or aromatic oils to ensure calming sensation. This can also help you improve the mood. Asian foot massage techniques suggest the use of lemon or lime slices for rubbing the feet. This can help soften the skin. Lime or similar other fruits can be helpful in addressing your foot health efficiently. After the footbath, dry the feet and begin the rotating motion of the entire foot. You can use a pillow and a towel to work with each of the feet. Hold the foot with one hand and then rotate the foot with another hand. Rotate it clockwise and anti-clockwise three times. Repeat the procedure with the other foot. Then, repeat the same procedure with the toes. Rotate them clockwise and anti-clockwise in the same manner. This will help you warm the feet. This type of rotating can also help your feet have blood circulate through toes and ankles. Use foot cream or similar oil for applying the arch pressure. This is akin to the techniques used in foot massage parlors. Place the cream into the thumbs and at the centre of the arch. You can use coconut oil, massage oil and foot massage cream. Rub your thumbs in small circles. Rub one of the thumbs in the clockwise and another thumb in the anti-clockwise direction. This is a perfect stress melting technique and can be helpful if applied in 30 seconds. Next, apply more oil and use your thumbs to move through the entire length of the foot. Use firm pressure without applying too much of it. Walk your thumbs along the foot. Repeat this procedure taking care that you are not geting tired. Tender toe techniques can be quite helpful in reducing the pressure on your feet. This can provide a relaxing experience and has been considered to be one of the excellent foot massage techniques. The technique makes use of the foot massage pressure points. Squeeze the toes with your thumb and index finger. Give clockwise and anticlockwise circles below each of the toes with your thumbs. Work in this manner dedicating 15 seconds for each of the toes. Next in line is the Sole. Once again you will use your thumbs to apply pressure using the foot massage pressure points. Use your thumbs to make small circles across the sole. Use one of your thumbs in a clockwise motion while using the other in an anticlockwise motion so that your thumbs meet at the centre. Make sure you exert a little extra pressure near the heel. You can do this for several minutes or until the time you do not get tired. Squeeze the area below the ankles with your thumbs and forefinger. Squeeze the hollow area for several seconds. 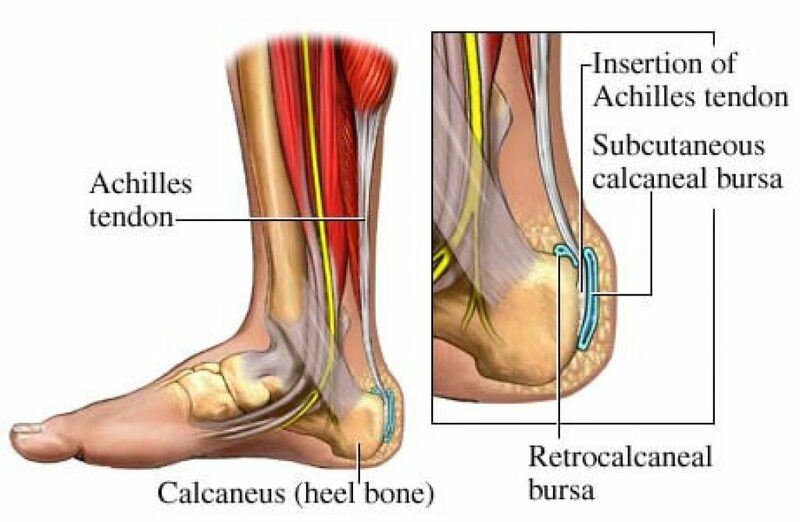 Ensure that you are handling the Achilles tendon. A combination of these two massages would ideally be the best option for providing the best ever foot massage benefits. Before we end our discussion on how to give a foot massage, how about a complete chart that helps you identify a few regions in your feet that affect certain body parts? That should give you a brief idea on how to give foot massage from home. In fact, this will help you avoid a visit to the foot massage parlor. Well, if you are getting a heavenly foot massage at home, why would you need the services of a parlor. Moreover, getting a foot massage from your romantic partner can indeed be the best option in every right as it will go a long way in improving the intimacy between you.